Show your gratitude to colleagues, friends or clients. 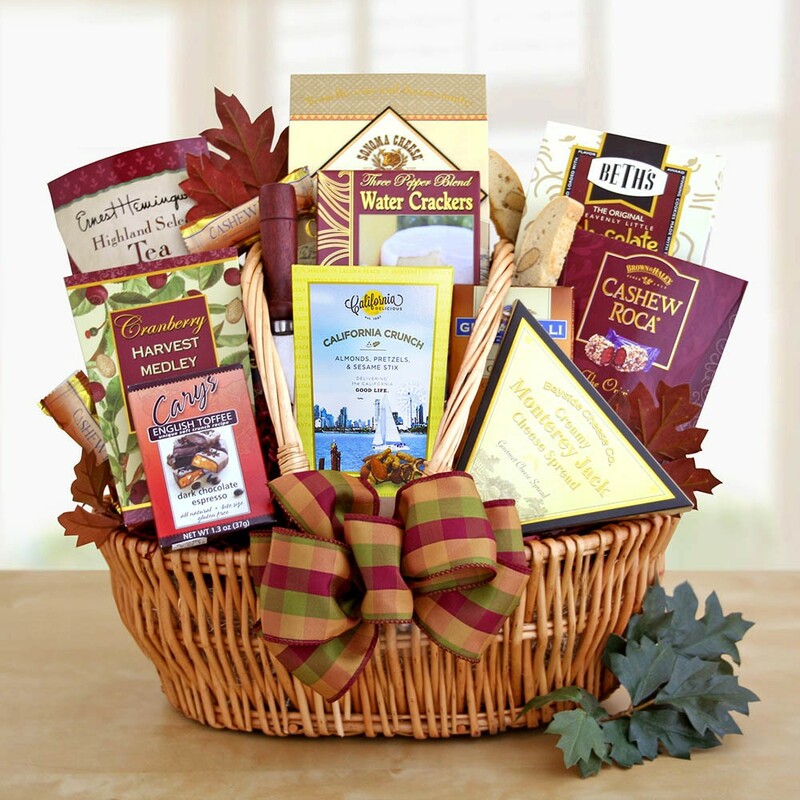 This basket of major munchies contains cheese & crackers, Cashew Roca, chocolate chip cookies, tea, and much more. There is truly something for everyone to enjoy!